It can be hard to figure out what to wear in the spring, especially in the Midwest where our weather can start out freezing in the morning and be warm by the afternoon. Layers are the answer! 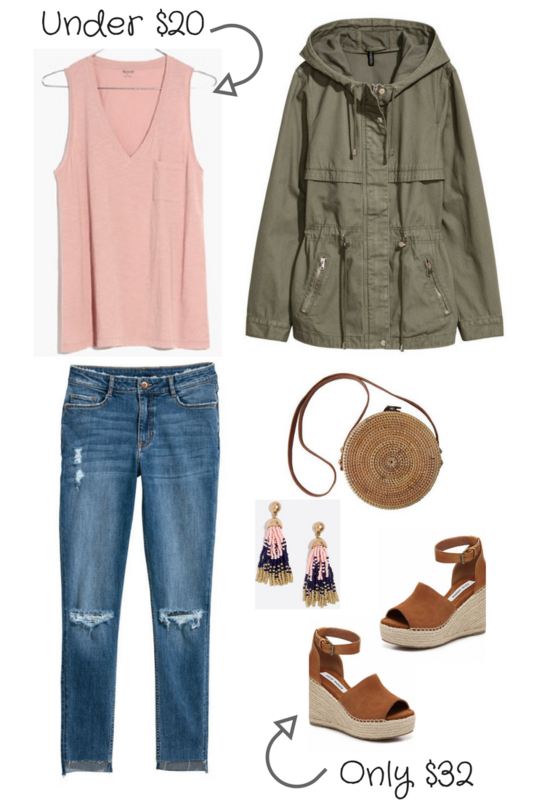 Here's an affordable transitional outfit I put together using pieces that are all $50 or less. These Madewell whisper tanks are at the top of my wishlist right now (especially the striped one), and this parka from H&M is under $50 and comes in other colors - including blush.